Unfortunately, despite the best of care our horses are not immune to accidents, injuries, or disease. A safe environment, routine veterinary and dental care, a good diet, avoiding stress; all contribute to maintaining a sound and healthy horse. It’s the unforeseen that we must deal with in the most appropriate way. Horse insurance may indeed be a wise investment. We thought you might find it interesting to look at actual examples of recent medical and surgical claims paid by our insurance carriers. Note that the amount paid is after deductibles and co-pay provisions were deducted from the total cost of the veterinary treatment bills that were submitted. 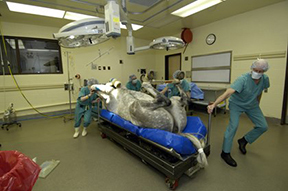 *Note – The cost of colic surgery can easily run into five figures if complications set in. **The Free Colic Surgery Endorsement may be added to the mortality policy if the horse is eligible. *** Policy Limits paid out. The USDA’s National Animal Health Monitoring System (NAHMS) released the first report on 01/11/17 from its Equine 2015 study. The report is designed to provide participants, industry and animal-health officials with info on the country’s equine population. Participation in the study was conducted in 28 states based in part on the size or density of the state’s equine population. • For resident equids less than 1 year of age, conditions commonly attributed to cause of death were injury, wounds or trauma. • For resident equids 1 to less than 20 years of age, conditions commonly attributed to cause of death was colic. Most horse insurance policyholders do add medical whereas some opt for colic/surgical coverage only. Those who self insure may want to give all the available options a second thought before declining the added protection.